Osaki provides technology with endurance. It has the sheer advancement in the technology of human body scanning that its massage chairs are almost accurate to every point of the back as well as the whole body. Even after a huge price variation in the massage chairs that this manufacturer provide, there is a huge demand of this product in the market. The massage chair comes with the latest 3D technology which is designed and is capable of an outstanding variation of range and flexibility. From controlling the length of the rollers to the extending out from the back rest, the 3D technology works just fine. The massage chair fully equipped with computer scanners to scan all kinds of body structures and locate the different massage points accordingly. The airbags customise their positions and pressure accordingly to give the accurate massage with just the required intensity. 2 stage zero gravity feature which is inspired by the NASA technology gives a perfect position to enjoy a massage and let go all the stress and feel perfectly weightless. The most liked feature is the fully reclined position at which the zero gravity feature completes the weight of your back virtually to support the back rest which maximises the intensity of the back massage. At full recline when the legs are above the heart, the therapeutic features work most effectively in least time consumption. When you want to get the blood circulation stimulated all over the body smoothly, you can opt for this feature and it will satisfy you with its job done. The rollers can move in all directions and according to the engineering mechanics, this feature has never been faulty in any product made by the company of this model. You can easily control the rollers manually into two positions, spot and zone modes which give a completely relaxing massage to the sore muscles in the back and neck. Often with such a good feature list, the hardware tends to become fragile. 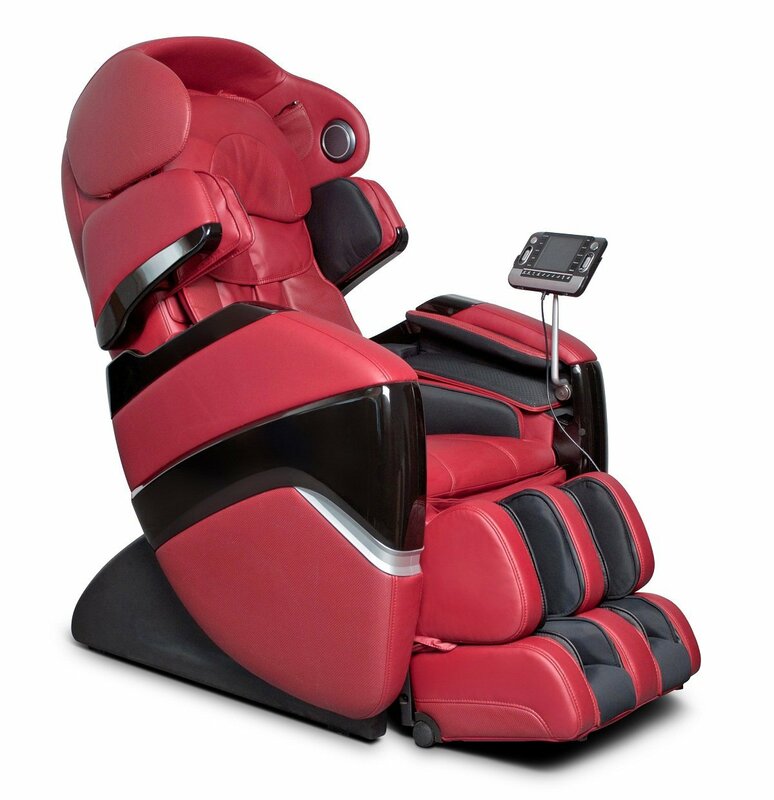 But, this massage chair has it all in its hands as well as leg rests. The durability of the product is long lasting as much as is its efficient working capability. The product did not get enough marketing to be understood by people in a simpler way. Thus, people only with an experience of the product live or with the knowledge of what the features tend to opt for this massage chair. The computer does not fully optimise with the working capability of the hardware. This results in the product outcome being less operational than optimal for a good massage in a lot of complicated areas. The lumbar massage and arm massages were said to be too intense even at the level 1 for many people with bulky hands. The airbags seemed to be very squishy and pressurising on the muscles rather than relaxing. On a personal note, the worth of the product is not enough to be of $5,795 as massage chairs with a cheaper price than this one do better miracles. But, this chair has been reliable without any product malfunction or feature breaking down. There is a big word about the leather work of the chair being comfortable but too soft to wear out soon. But, most of the users have their upholstery held tight and not even scratched for over a year. Even though the price of the chair does not seem to be worth it personally, your idea of relaxation may vary as you may prefer reliability and trust more than features. With the full reclining feature being fully effective for the zero gravity effect to take place, this chair has become one of the best zero gravity massage chairs in the market and the cheapest ones too.